Yanagi Sori, a leading industrial designer, was a teacher at Kanazawa College of A rt for close to 50 years. 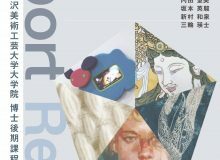 In March 2012, Yanagi Design Office entrusted about 7,000 items including Yanagi's works and design materials to the college. With this as a start, the Yanagi Sori Design Memorial was founded as a facility in affiliation with the college. There are permanent exhibition rooms where visitors can learn about Yanagi's approach to design through works and exhibit spaces. A ll exhibits are without captions. You feel that it is important to face each item and feel its beauty without preconceptions. 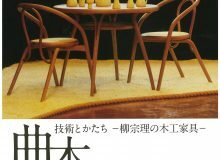 Research of designs by Yanagi and his contemporaries are available to the public through special exhibitions and lectures. 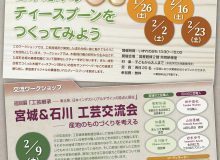 Books and information related to Yanagi are also accessible. The facility may also be used as a place to study about his life and work in design. Additionally, students from the college use the facility to exhibit the findings of their studies. One of the leading industrial designers in the post-war Japan, Yanagi Sori was active in various fields, from everyday goods to large public facilities. He also took part in the World Design Conference and designed for the 1964 Olympic Games in Tokyo and Sapporo in Japan. In addition to his design activities, he taught at Kanazawa College of Art for an extensive period of time and was the director of the Japan Folk Crafts Museum for almost 30 years. He was selected as a Person of Cultural Merit in 2002. Take the Konohana route bus at bus terminal 11 at the east exit. Get off at Hikosoryokuchi. 5min walk. departing from bus terminal 3 at the east exit. Get off at Hashiba-cho. 3min walk. Take a left loop bus. Get off at Hashiba-cho. 3min walk. 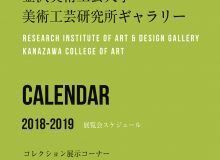 Copyright © 2017 kanazawa college of art. All Rights Reserved.